If you are looking for the perfect dangling diamond earrings, look no further than this beautiful set from Vanna K's Korvara Collection. 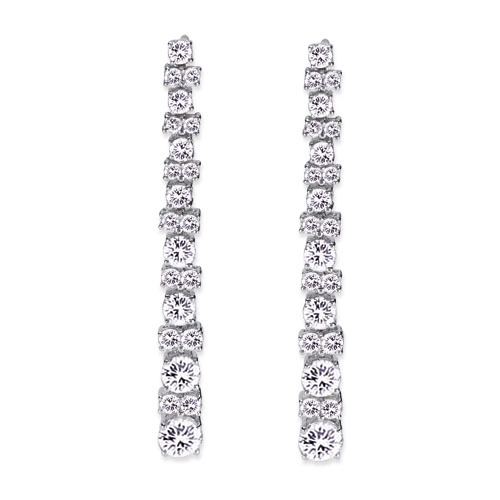 The ultimate in elegance, these diamond earrings are the perfect accessory for a dressy night out. Over 4.5 carats of micro-paved diamonds ascend in growing size, alternating between the round diamonds and pairs of smaller diamonds. 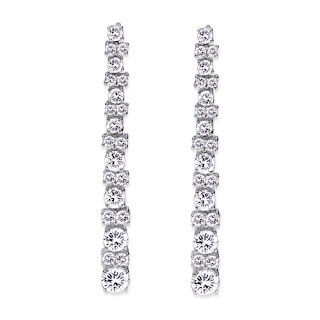 These lovely jewels sparkle from every angle and will make whomever wears them feel beautiful from ears to toes. Find something special for your special event today at Vanna K.